The initiative "Simply Intuitive - Usability for SMEs" by the Federal Ministry of Economics and Technology aims to improve the usability of business information systems and thus strengthen the competitiveness of medium-sized companies. 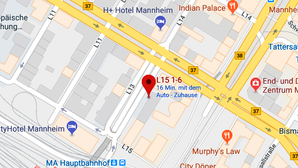 The Competence Center Usability at the University of Mannheim is developing a human-centered process model for software development enriched by management elements. The model is to be disseminated as a result and through the establishment of a corporate network and a learning platform. The digital data generated in the economy and society are increasing exponentially. Analysts predict that the global data volume of structured and unstructured data will increase by 650% in the next five years - to about 200 zettabytes (1000 ^ 7 bytes). In addition to the data volumes, the speed of data creation, the variety of resulting data (audio, video, texts, structured data, signal data, etc.) and the resulting process innovations are at the center of the big-data discussion. In particular, the combination of data volumes, velocity, processing of heterogeneous data structures (Variety) and data-driven processes hold immense value-added potential. In this context, current and future IT solutions provide new ways to derive relevant real-time information and knowledge for decision-making, planning, and business process execution, both within enterprises and across business networks. The Competence Network 'Data-Driven Process Excellence for Enterprises and Business Networks (D2PEB)' provides a platform for exchange between research and practice, with the aim of defining potentials from data-driven processes for companies and business networks and designing potential solutions.